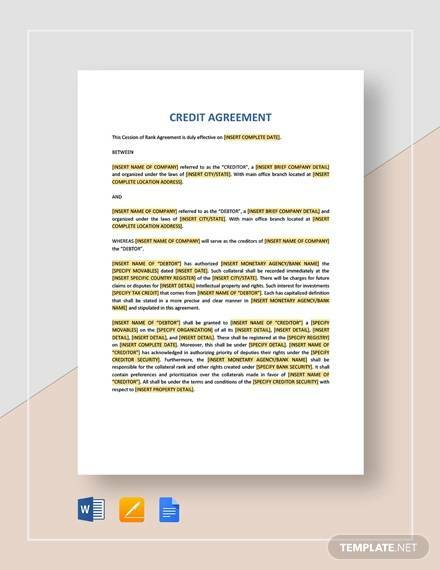 What is a credit agreement? 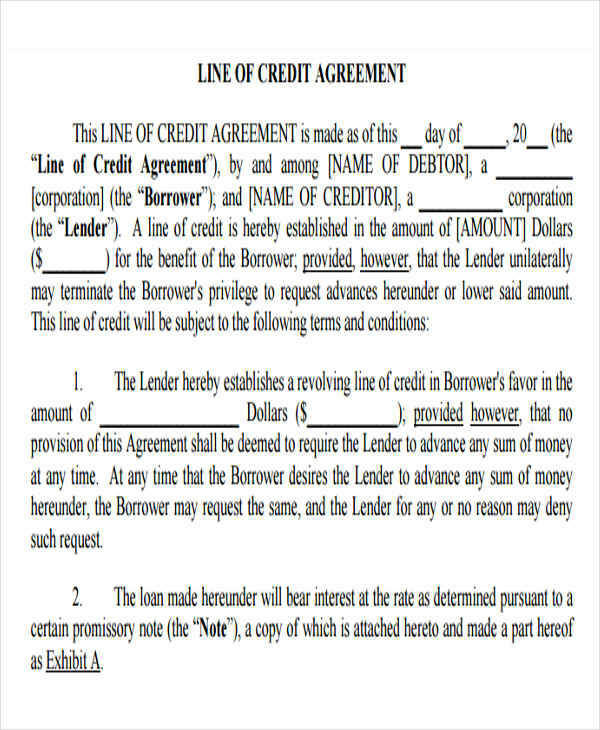 A credit agreement is a type of legal contract between a bank and an individual or a company. A bank allows a specific individual or a company to loan a particular amount of money to be paid at an agreed period of time. A facility transfer refers to the transfer of a particular amount of money from one bank account to another. 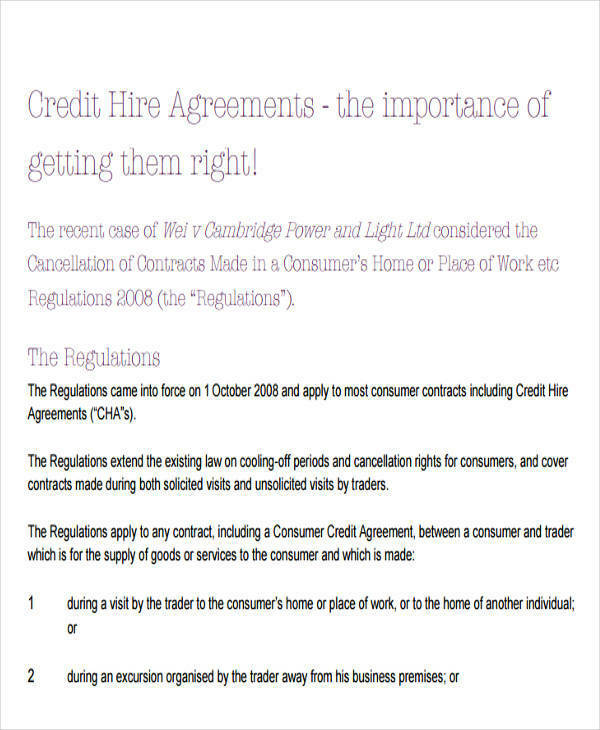 If you are looking for credit agreements, the samples available on this page will be useful to you. 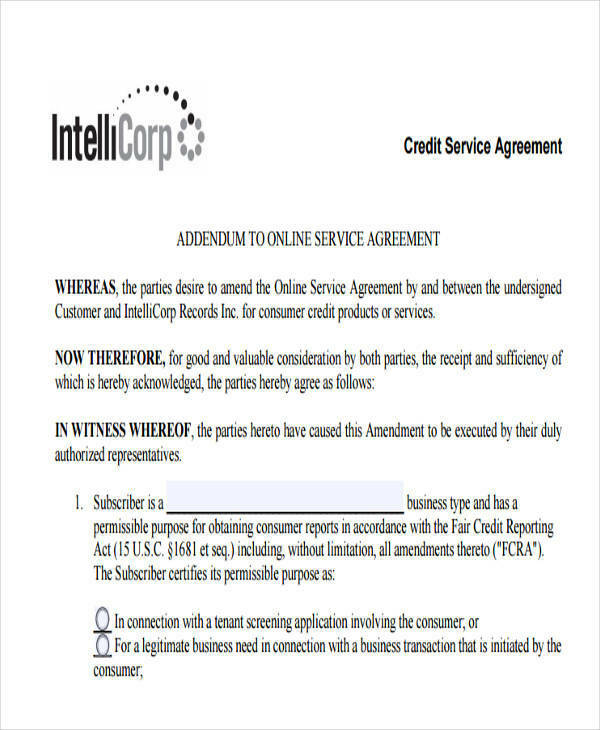 You may use them as a guide to help you format your service agreement. 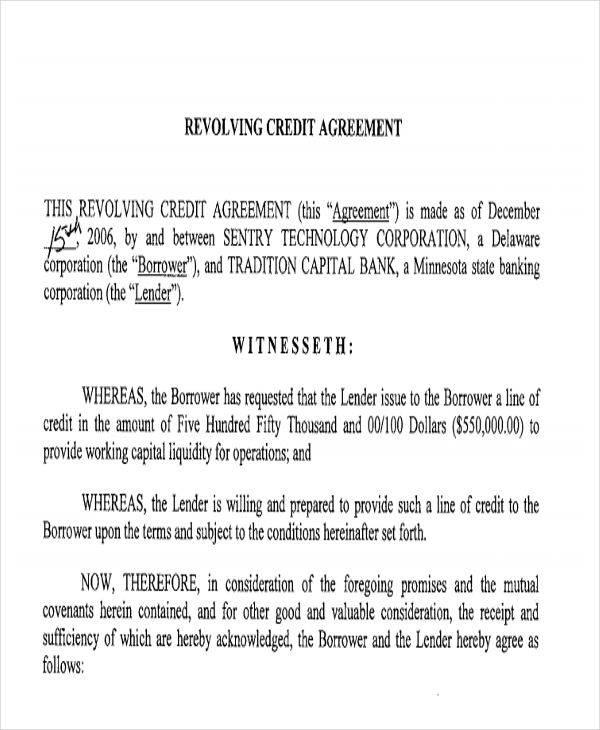 A regulated credit agreement is a type of credit agreement. If the borrower of a particular amount of money is an individual, they are provided a regulated credit agreement. Since individuals pose a higher risk of failing to pay for a particular loan, credit card, etc., their credit is controlled by banks and creditors. Businesses and companies are not regulated since big amounts are involved in their purchases. 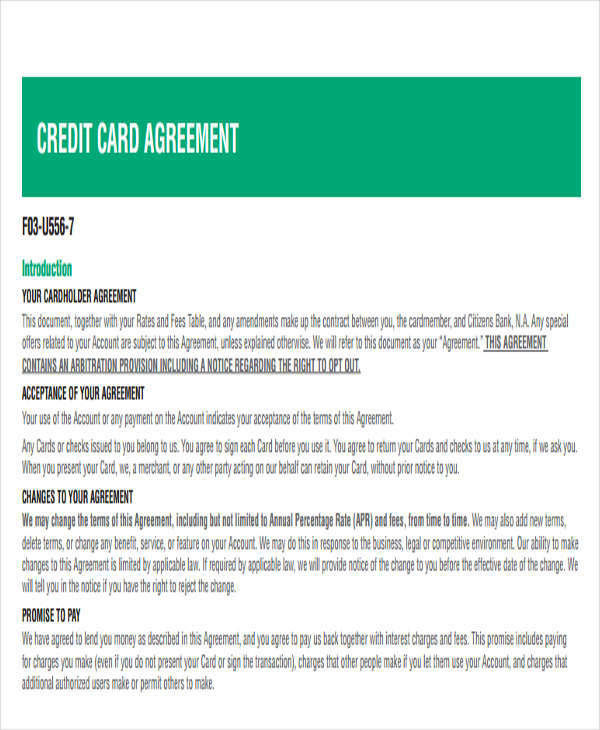 For companies and businesses, Business Credit Card Agreements are useful to protect the company from fraud, track purchases, and also to prevent employees from overspending. 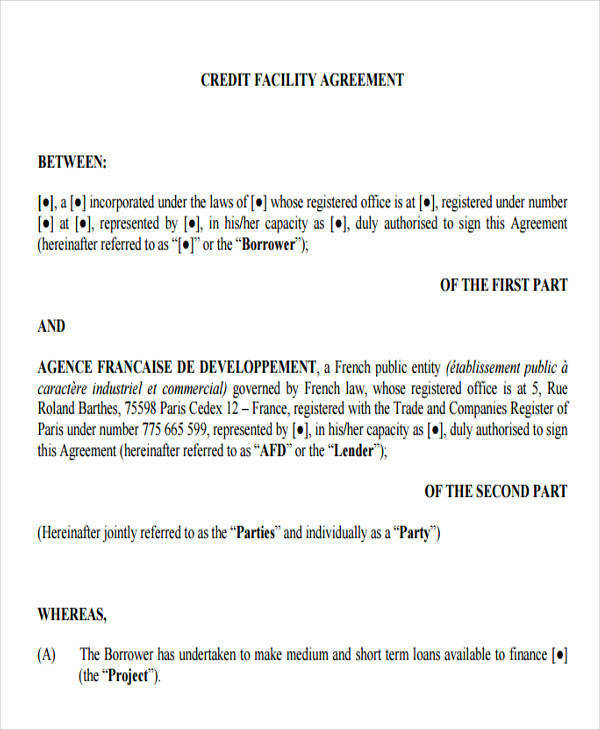 The first thing to do when writing an agreement is to write the full names of the two parties involved. Specify the role of each party in the agreement. Determine the purpose of the agreement and specify it on your agreement. Write the roles and responsibilities of each party. The agreed duration of the contract should be included so both parties know when it becomes ineffective. 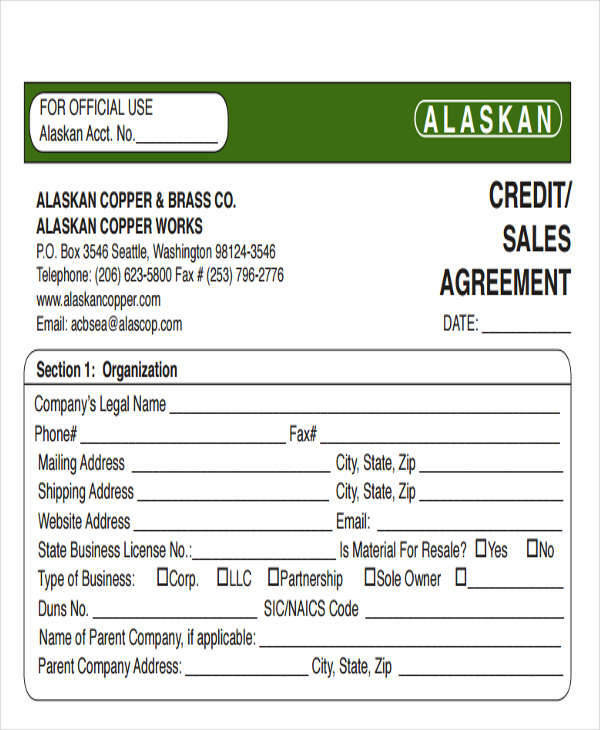 You can download our sample Agreement Forms by clicking on the link. There are various types of credits available depending on how it is used. Below is a list of the different types of credits. 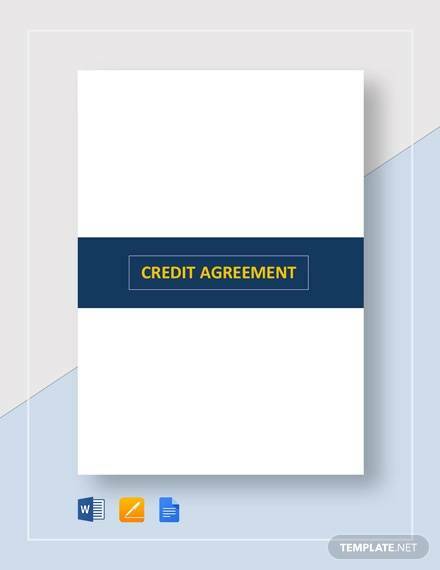 Credit Agreements are available for you to download if you need to make one. Credit Card – A credit card is a type of credit wherein an individual is allowed to borrow money from a bank of a company offering credit card services. Bank Loans – Another type of credit is the bank loan. Companies borrow money from the bank and are paid through installments over a specific period of time. This can be useful especially when buying a house, lot, or needing to invest on something. Overdrafts – If an individual’s bank account runs out of money, the bank allows the individual to withdraw money from his or her account. Although, it is important to remember that overdrafts charge you with a fee as well as an interest. Personal Loans – This refers to individuals who borrow money to buy a goods or products. They are required to pay for the particular goods and products for a particular period of time. If an individual fails to pay for the goods, they will be asked to return them.